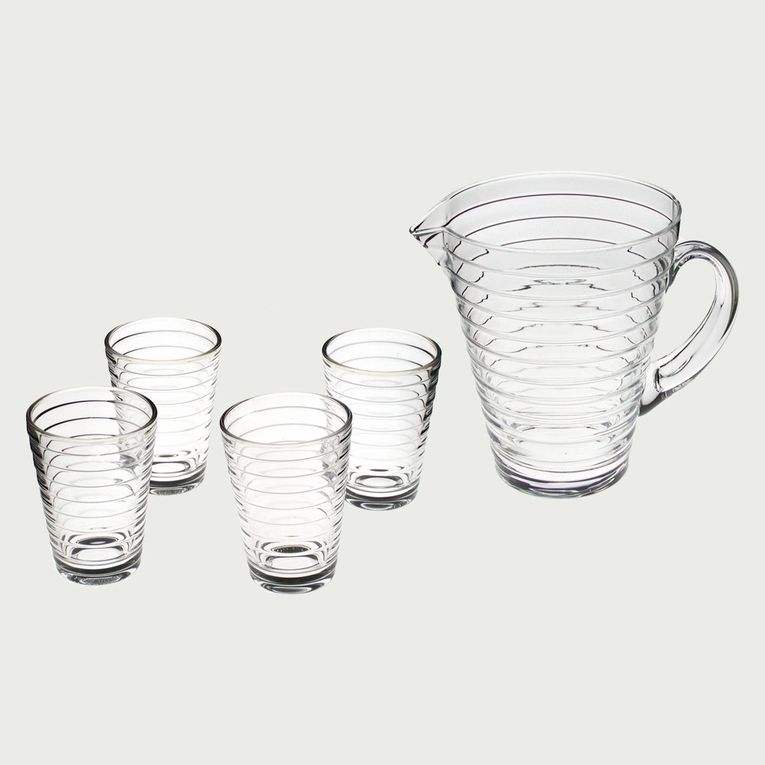 Aino Aalto Clear Pitcher & Glasses Set includes the Aino Aalto pitcher and four clear large tumblers. Perfect for seasonal parties and is a fantastic gift for anyone looking to add a bit of flair to their table. Hand wash only pitcher. 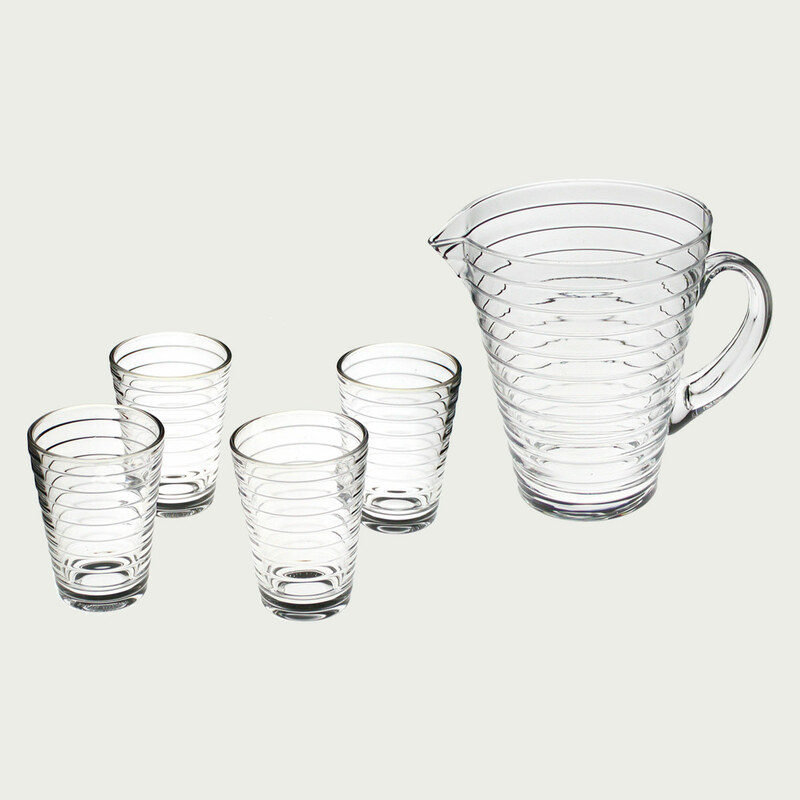 Tumblers dishwasher safe with care.